Border crossing between Egypt and Gaza to remain open until further notice, officials say. 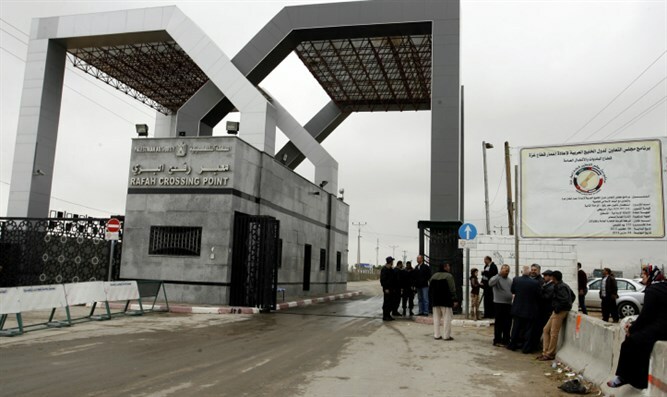 The administration of the Rafah Border Crossing between Egypt and Gaza said on Tuesday that the crossing will remain open until further notice, Yediot Aharonot reported. The move will enable residents of Gaza to enter Egypt and come back without waiting. The crossing has been open since the start of the month of Ramadan, under the orders of Egyptian President Abdel Fattah Al-Sisi, in order to ease the humanitarian crisis in Gaza. Egypt has kept the crossing closed as it blames Hamas terrorists for providing the weapons for the lethal 2014 attack, which killed 30 soldiers, through one of its smuggling tunnels under the border to Sinai. Hamas denies the allegations.